When Hurricane Maria struck Puerto Rico in September of 2017, the entire island felt the devastating impact. Families were torn apart, homes were destroyed, there was no power or clean water, and hope became a struggle to find. Natural disasters bring on unthinkable physical, mental and emotional effects. When they occur, people turn to something that can help them momentarily forget about all the negatives: a short-term relief from reality. For many, that outlet is sports, and for many Puerto Ricans, that sport is baseball. 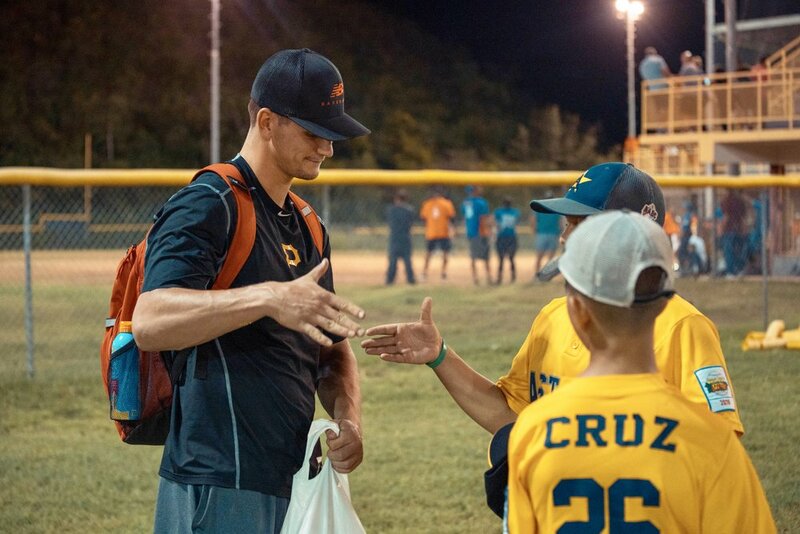 ACCOMPLISHMENTS: Restored a 3-Field Youth Complex in Coamo, Held a Clinic & Home Run Derby. GOAL: The first visit to Puerto Rico in May of 2018 was alarming. So many fields with so many kids were left unplayable due to Hurricane Maria in September of 2017. For this reason, we’ve seen a massive impact in Puerto Rico in our short time there. While the current mission is to rebuild these fields as places for community gatherings, the long-term goal is to get more Puerto Rican players into collegiate baseball in the United States. “Not only did the MTAG team get to see their progress from Day 1 through Day 4, they witnessed all of their hard work actually making a difference. Just after 6 p.m. on Thursday, October 18th, the fourth and final day of work, two youth teams from Coamo--the Mets and Orioles--suited up for the first baseball game at the complex in just over a year. It was a real game, but it almost didn’t feel real. The game’s first pitch was one of those magical moments that doesn’t sink in right away. “In just four days, the MTAG team got the entire Alberto Ortiz Aponte complex up and running and all three fields in safe playing condition.